No matter how tired he got, Jim Bouder was willing to carry 5-year-old Donovan on his shoulders while he repeatedly trudged up and raced down the steep hill near their home. In addition to autism, Donovan has a severe articulation disorder called “apraxia.” Bouder had learned from a local psychologist that the part of the brain that controls nonverbal expression also controls verbal speech. 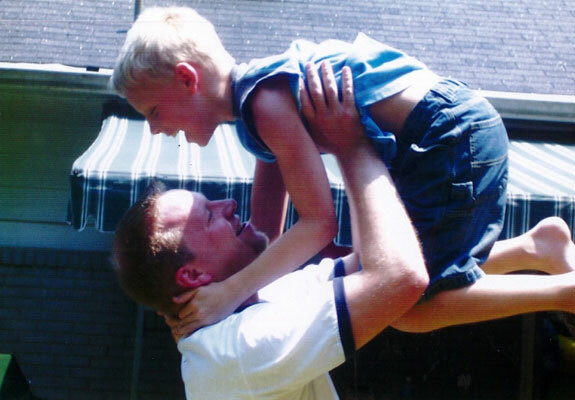 By repeatedly connecting an activity Donovan loved – running downhill on his father’s shoulders – with a set of both non-verbal and verbal demands, Bouder hoped to prove wrong the specialists who insisted his son would never talk. Basically, he was acting on the same Applied Behavior Analysis (ABA) principles used at The Vista School. “Touch your nose; touch your head,” Bouder demanded each time he was ready to run downhill. Donovan complied. Say, “ball,” Bouder added to the list. “Ba,” Donovan responded. After subsequent trips down and back up the hill, Donovan was saying “Dad” (“Da”) and “Mom” (“Ma”). Donovan’s words were approximations for some time afterward, but he got his point across. As a 6-year-old, for example, he ratted out brother Kyle on a car ride to the shopping mall by shouting, “Ow! Kyle pinch.” Shocked, Kyle’s eyes grew wide and his mouth fell open. As a parent advocate, Bouder played an integral part in bringing about those services by drafting the legislation requiring private insurance companies to provide coverage for the care and treatment of children with autism. Similar versions of that legislation have now been passed in more than 20 states.